If not as described, we will buy it back. No local pickup. Has factory battery never opened (can't confirm if battery will need to be replaced). New Never Used. No changing after the sale. The remote is in good condition and worked fine years ago when I last used. 85% Near Mint Very good condition with minimal signs of use. Still very clean. 65% Very Good Works good, mostly with dings or dents. 60% AS-IS Heavily marked, but works. ・It works perfectly. Maybe we can find it for you. This is a used Minolta IR Remote. It has not been tested. If you have any problems I will gladly refund you once the item is returned. What you see in the photos is what you are receiving. If you have any questions or would like more photos please let me know. There are scratches, and scuffs so, please review the photos for any wear and tear. Thank you! No local pick up available. MINOLTA RC-1000 CORD REMOTE CONTROL, 16 1/2 FEET LONG, AND INSTRUCTIONS PREOWNED Remote has light wear. Works with no issues. Please email me with any questions. It works properly. tiny scuffs from normal use. It shows signs of use. ■ Functional. ■ Total Condition. Appearance is beautiful. DOES NOT INCLUDE A BATTERY. It has been used but is in good condition, looks good. It has light wear from use. It is 16-18 feet long. it works good. Item is new and unused. Includes everything pictured. 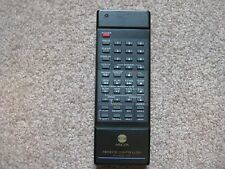 This remote is in excellent condition and works perfectly. Welcome to Wolf's! (BRAND NEW IN THE BOX!) Minolta RC-3 Remote Controller **More photos and details are available upon request. ** [Track Page Views With Auctiva's FREE Counter] (https://pages.ebay.com/seller-center/listing/listing-advanced-sellers/third-party-listing-tools.html#auctiva). Pre-Owned, Minimal Wear from Use/Storage. Unboxed Remote and Instruction Booklet only. Remote in sealed unopened bag. Delayed mode takes the exposure two seconds after the button is pressed. Freedom Action Zoom 90. 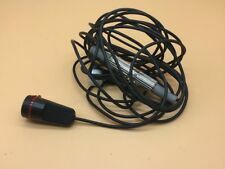 A Minolta remote cord in good condition. Freedom Zoom Traveler. Delayed mode takes the exposure two seconds after the button is pressed. Freedom Action Zoom 90. MINOLTA Wireless Controller IR-1 set w/ TRANSMITTER and RECEIVER 35mm camera . Condition is Used. Dispatched with Royal Mail 2nd Class. Minolta RC-1000 Shutter Release cable. Delayed mode takes the exposure two seconds after the button is pressed. Carried in a small case that fits into a pocket for convenience. Delayed mode takes the exposure two seconds after the button is pressed. Provides 2 shutter release modes. Here we have a MINOLTA Wireless Transmitter IR-1, 3 Channel, Uses AA Batteries. It’s in good used condition and is shown with the led confirmation light illuminated. It has light wear from use. It is 16-18 feet long. it works good. Connectivity Cable. UPC Does not apply. A genuine Konica Cable Switch Remote Cord. It is in good used shape with signs of light, careful use. Nothing unusual. Good condition, Tested And Working, see pics for actual item for sale. For many Minolta AF 35mm, Dynax, Maxxum, Alpha. 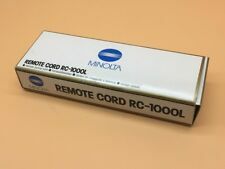 Genuine Minolta RC-1000, Remote Cord Release, fully functional, made in Japan, for Minolta AF Maxxum/Dynax Film and Digital SLR, compatible with Sony Alpha DSLR, fully functional.